It's not exactly clear how story of the bluebird of happiness began, but it seems for thousands of years, people across the world have associated this creature with pure joy! 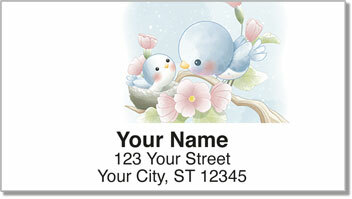 Now you can send a little happiness on every envelope using Baby Bluebird Address Labels from CheckAdvantage. Receiving a letter of package will be like having Mr. Bluebird on your shoulder. You won't be able to keep from whistling a tune! 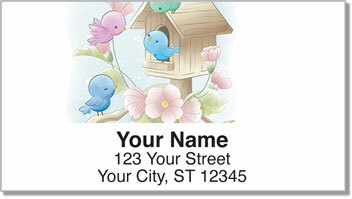 The design features a cute cartoon bluebird exploring the world around him. Just peel and stick these labels instead of scribbling out your name and address by hand. Now that should make you smile! 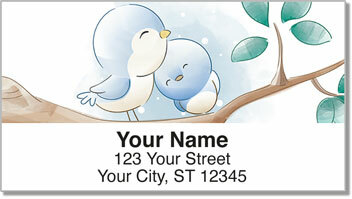 Get your own Baby Bluebird Address Labels right now! 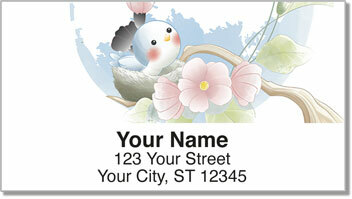 This nature design can also be ordered as a set of matching personal checks.